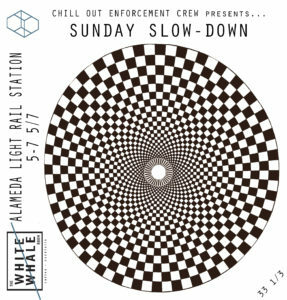 Chillout Enforcement Crew’s debut release Acid LuAu is an excursion into Polynesian party games with a Devilfish. For a limited time only, until it sells out, Obliq Recordings OBQ-17 presents an 8″ floppy diskette with a 7″ square plastic picture disk record included. 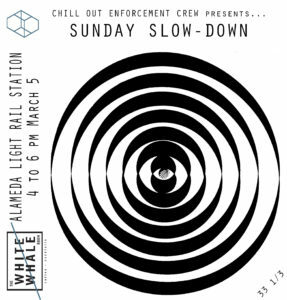 The track is Acid LuAu. 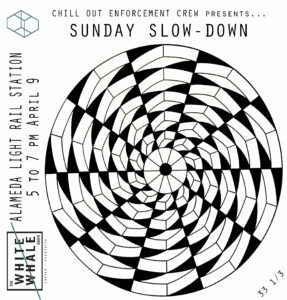 The digital download bonus is Acid Fusion, which is a faster paced crazy excursion into Jazz, Funk, Techno and Acid; keep your mind occupied as the fusion fission radiates. The digital album is name your price (free if you choose), the analog record is VERY limited, so check bandcamp now! 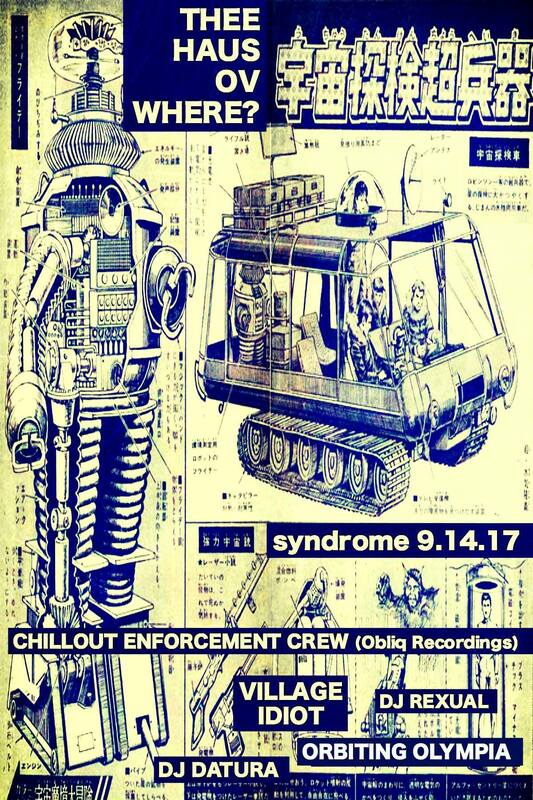 Check out the soundtrack that Chillout Enforcement Crew did for Obliq Recordings! Flyers for the While Whale Room and Syndrome shows. 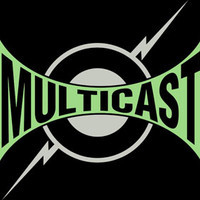 We finally have Multicast’s 2016 album Multicaster available for sale at our bandcamp site. There is a limited number of hand stenciled Iron Feather Journal #21 magazines available with our CD. Don’t delay on this as this is a one-time run and no other magazines will be produced once these are gone. We got a great review of or first full length album, Rural Sessions, in an Italian webzine specializing in electronic music, Electronique.It. The timing was great as we are doing the final work in preparation for our new album to be released very soon! Special thanks to Ivo D’Antoni for the wonderful and kind words! I still listen to this album, a lot, and enjoy it after all these years. 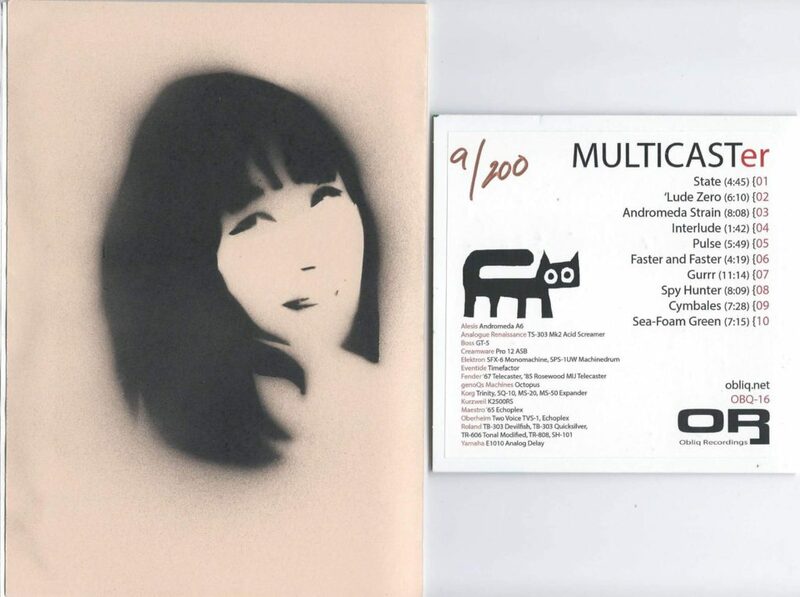 It was a fruitful time for Multicast and for electronic music in general. That said, our new album is likely my favorite so far…hard to judge, we’ll stand them up side-by-side in another 15 years and see what’s what! We released 3 different versions of Rural Sessions. 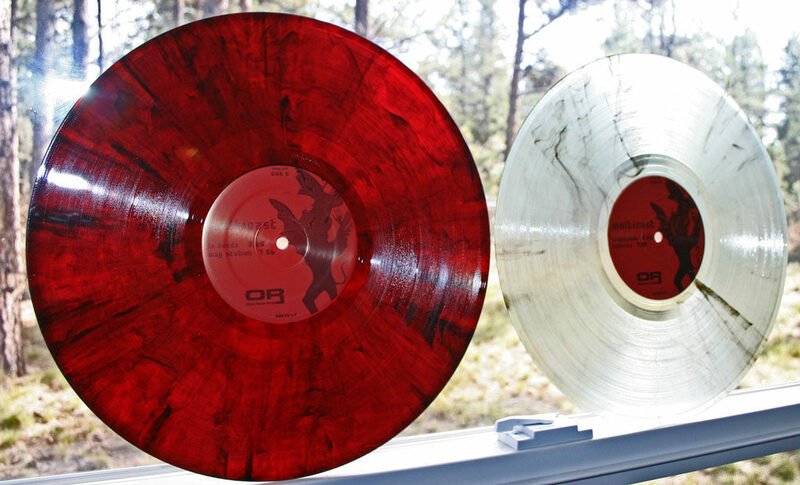 The limited run of 500 marbled vinyl as seen above, then 1000 150g 2LPs and finally 500 CDs. The CD has the extended version of Laura where the LP has a reprise version. The reprise LP version was played on the late John Peel’s Radio One radio show. Well, it is official, our new album is released! July 18th, 2016! The initial release is limited to Japan as an insert to the Iron Feather Journal magazine for the opening of the Sapporo Zine Festival in Hokkaido. We will be receiving a limited amount of magazines and will have a USA/World release in early September, the exact date is still to be determined. Front covers, both multi-color stenciled artwork! 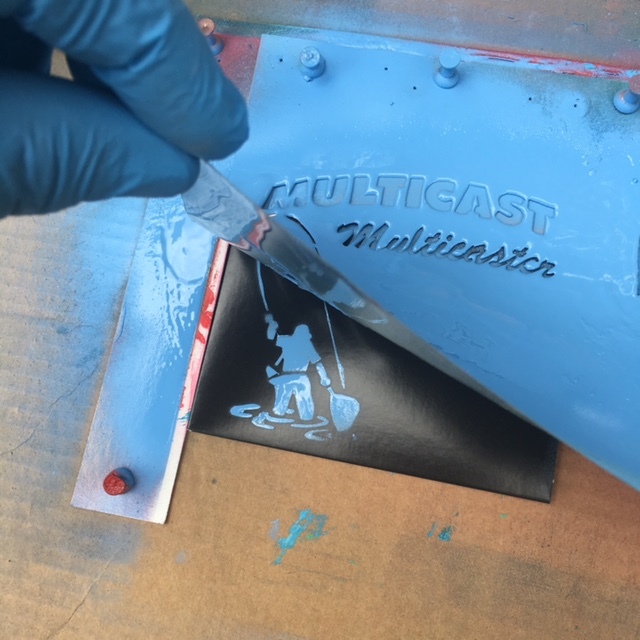 IFJ / Multicaster back covers! As the typical Multicast / Obliq Recordings way, we created each of the covers by hand. They are hand stenciled with recycled spray paint in multicolor! The Iron Feather Journal inserts are limited edition to 200, all hand-numbered. 100 will be released in Japan, 100 outside of Japan. 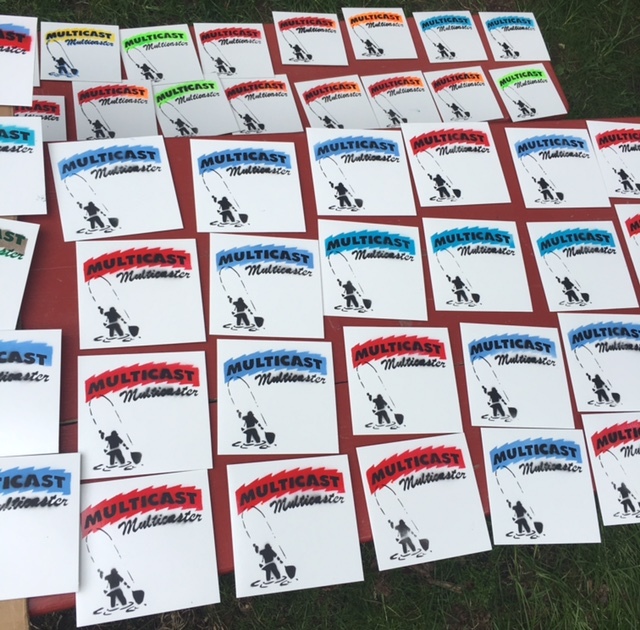 Multicaster album sleeves drying on the manufacturing line, by the river! Here is what a spindle of 170 looks like! Luckily my partner in crime, Cryptographics, is well versed at silk-screening and has the mass production process down! He first created a registration piece that was offset for the thickness of the cover. 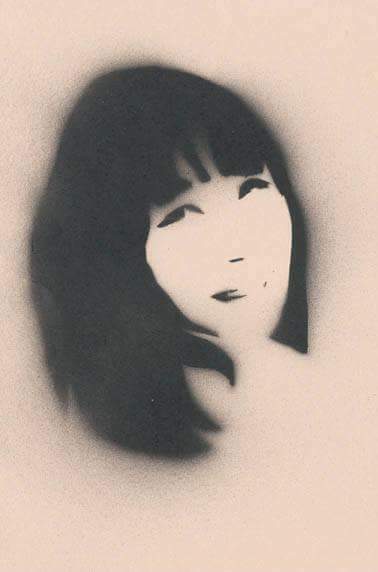 Then he created multiple stencils out of plastic to handle the ink. 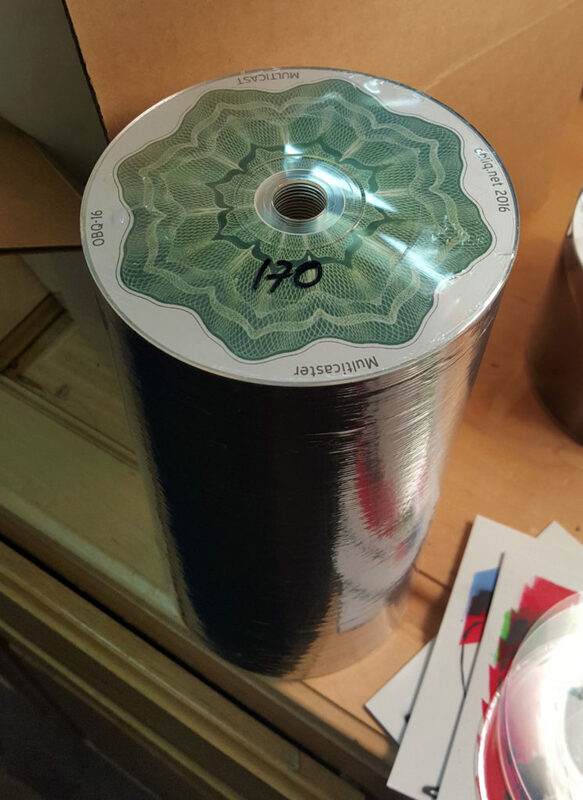 This project requires many stencils, one for each image on the cover that will have its own separate color. Thus, multiple iterations of paint and wait are required for the final cover to be complete! Stencil registered with the first cover ready to go, as you can see all we do is move the left registration to the right side and we’re ready for the next image and colors. Stay tuned to our Facebook and Instagram pages, or stay tuned to this site or Obliq Recordings for release date information. Don’t sit on getting the limited IFJ magazine or it will be gone! 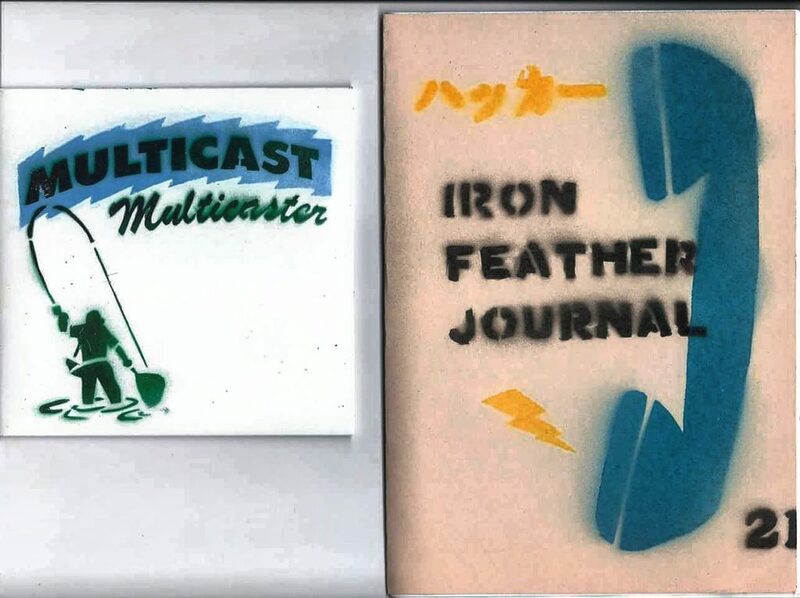 Multicast’s upcoming release in collaboration with Japan’s Iron Feather Journal. Carpe Sonum is proud to unveil the CD reissue of the 2005 limited LP-only recording from Multicast, mastered by Lupo (formerly of Dubplates & Mastering) at Calyx Mastering in Berlin, with additional new tracks. First gaining notoriety via their own Obliq Recordings imprint back in the early oughts, Colorado-based rural electronic musicians Dave Alexander, Jeff Holland, and Nathan Jantz haven’t exactly vanished from the scene, releasing a slew of digital-only work in the interim. From the album Bahian Coastal Highway available now! 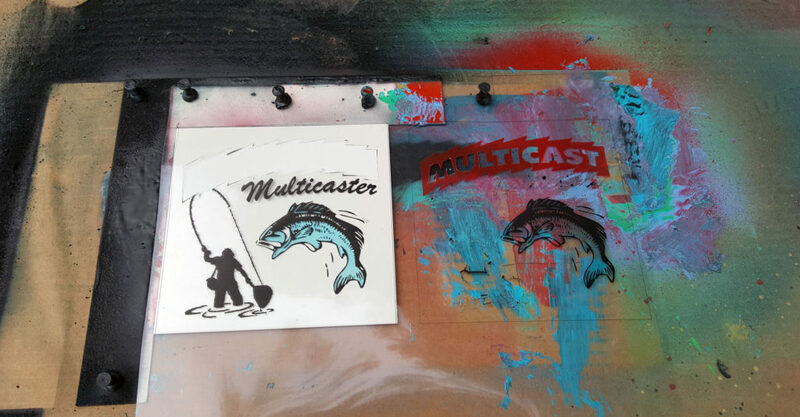 Here are a couple of videos to some tracks on upcoming Multicast releases. Stay tuned, and enjoy!